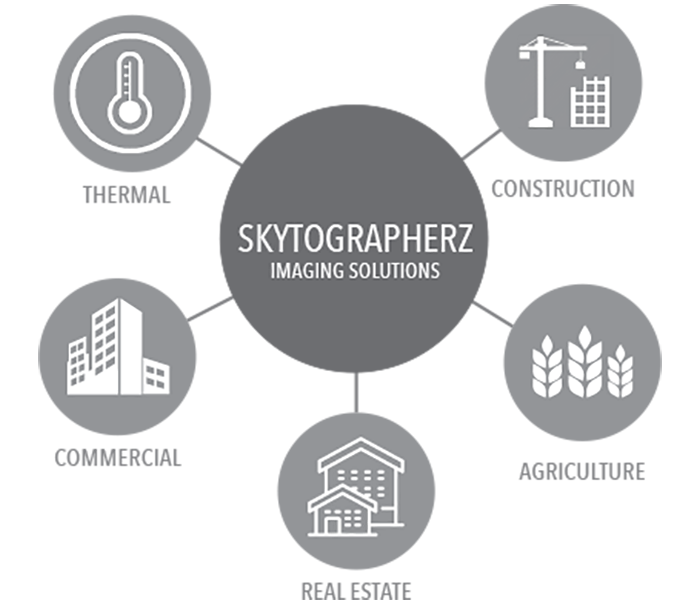 • Thermal aerial imaging – Skytographerz has several decades of experience in commercial shoots too! With state of the art thermal imaging platforms, we can inspection your building/location visually and thermally simultaneously. • Commercial and Industrial Inspections- New technology means new solutions. No longer will you have to hire an inspector to come and inspect you structures. Skytographerz will perform UAV inspections and give you 3D or area map images for review. • 3D Mapping for Construction an dDevelopment- We’ll create an easy to view and highly interactive map or 3d map of your area. You will have a complete grasp of the topology and obstacles without ever having to even have been. • Thermal and Aerial Agricultural Inspections- New thermal viewing capabilities allow you to monitor your crops health. Even better, you can see so much more from the air that on the ground. We’ll regularly inspect your crops and provide you with imagery analysis.